Nothing is stranger than believing. Below, watch the new Stranger Things TV show trailer from Netflix. 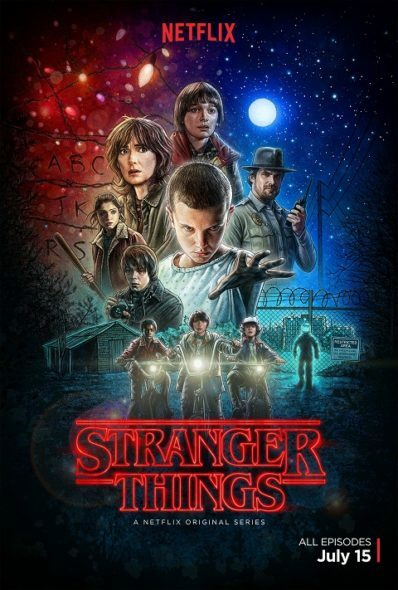 The spooky supernatural thriller stars Winona Ryder, David Harbour, Finn Wolfhard, Millie Brown, Gaten Matarazzo, Caleb McLaughlin, Noah Schnapp, Natalia Dyer, Cara Buono, Charlie Heaton, and Matthew Modine. The first season of the Stranger Things TV series drops to Netflix, July 15, 2016. 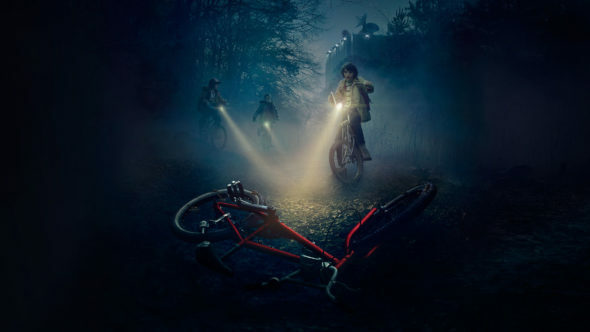 Netflix says, “99 out of a hundred times, the missing kid is with a parent or relative.” Stranger Things asks, “What about the other time?” Co-showrunners Matt Duffer and Ross Duffer executive produce, write, and direct. Shawn Levy and Dan Cohen are also executive producing for 21 Laps Entertainment. Levy directs, as well. Stranger Things is a Netflix original series. Watch the new Stranger Things TV show trailer, from Netflix. An innocent night playing Dungeons & Dragons takes a tragic turn for a group of friends in Hawkins Indiana when Will Byers disappears…seemingly into thin air. The year is 1983 and this small town is abuzz with conspiracy theories behind the missing boy’s circumstances. As friends, family and local police search for answers behind his disappearance they are drawn into an extraordinary mystery involving top-secret government experiments, terrifying supernatural forces and the discovery of one very strange little girl. Her appearance and powers appear super human and the boys begin to understand that she might have a sinister connection to their missing friend. 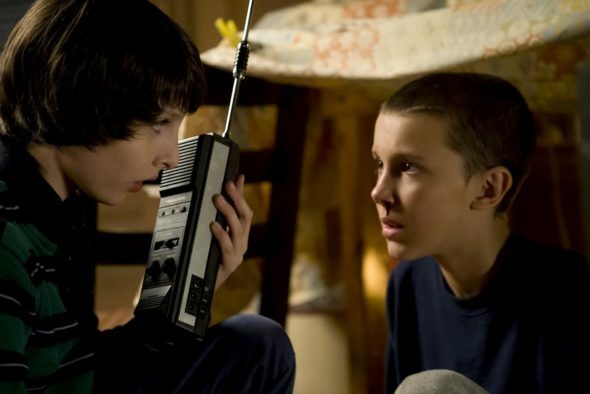 With the debut of an impressive young breakout cast (Finn Wolfhard, Gaten Mattarazzo, Caleb McLaughlin and Millie Brown as Eleven), Stranger Things is a love letter to the ubiquitous cult classics of the 80’s. All episodes debut globally on Netflix Friday July 15th. Netflix is calling this latest Stranger Things video, “Trailer 2.” Since this is the third “trailer” we have shared, we went back and checked. The first trailer we shared was from Netflix: UK & Ireland, although the same trailer has been posted by the YouTube account for Netflix US & Canada. The trailer we shared earlier this week is dubbed a “featurette” by Netflix. What did you think of the new Stranger Things TV series trailers? Do you plan to watch Stranger Things, when it drops to Netflix? Will you savor or devour it? Let us know, below.